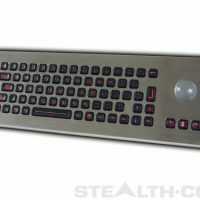 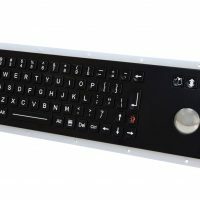 The Stealth model KYBX-300L-PM-USB Vandal Resistant Panelmount Keyboard is an industrial grade keyboard with trackball mouse housed in a rugged vandal resistant stainless steel enclosure. 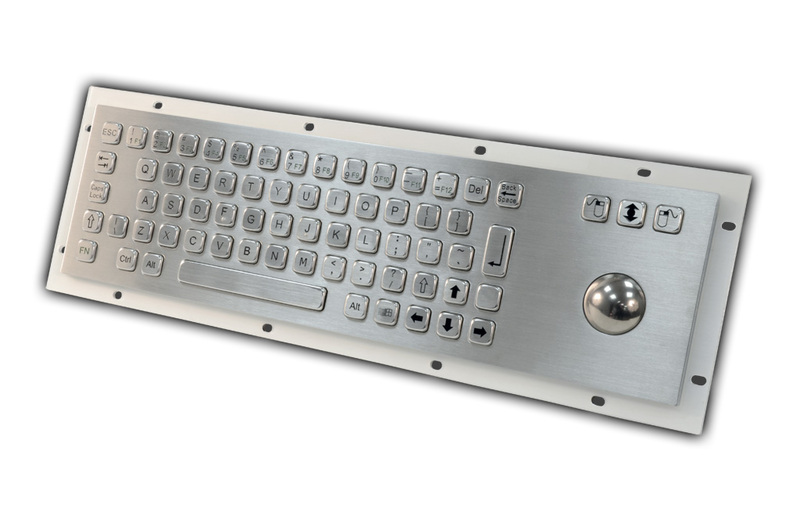 The KYBX-300L-PM-USB features 66 flat keys for easy cleaning, has an extended temperature range and environmentally sealed to NEMA 4, 4X / IP65 specifications when properly installed. 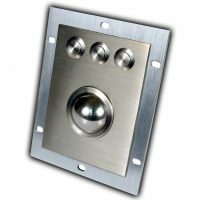 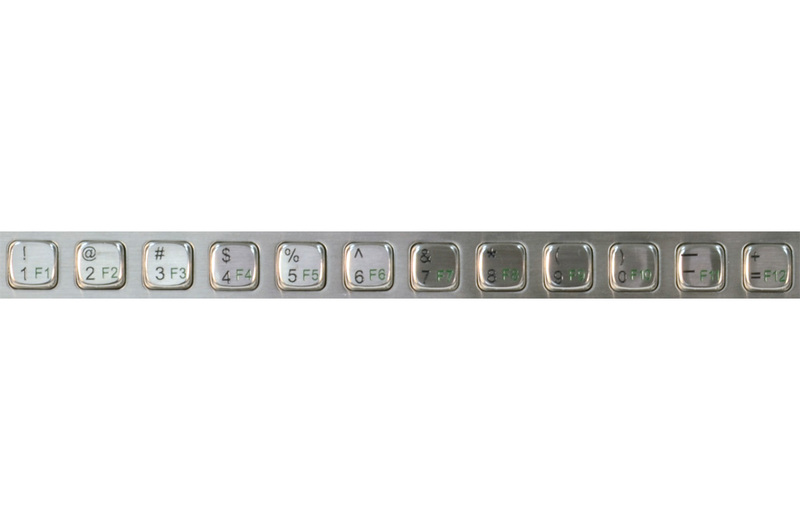 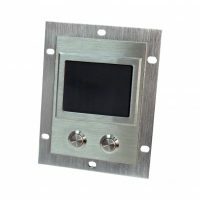 These indestructible stainless steel clad peripherals are designed to stand up to the rigors and abuse found in public access, kiosks, and harsh environment applications.